Every birder has a few of those species that no matter how hard they try they just never seem to be able to catch up with. 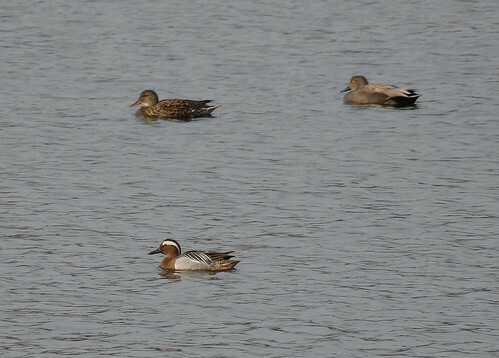 I have had a fair bit of success over the last twelve months on this front but one bird has been continually alluding me; the Garganey. Despite a few individuals arriving in my local area I have always been unlucky. Until today that is. 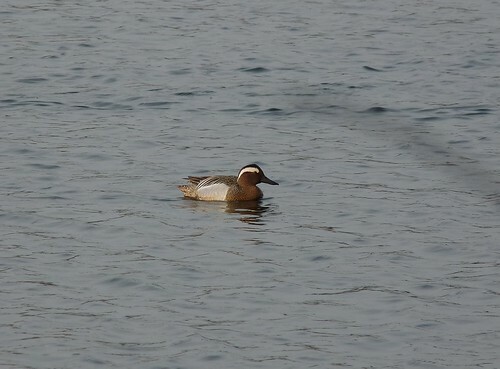 I arrived at work and checked the local sightings pages to find that a drake Garganey had been seen at the nearby Sandy Water Park earlier in the morning. Unsurprisingly I headed straight their as soon as I had finished in the hope that this time the bird would hang around long enough for me to see it. Initially I thought I was going to have another near miss as after walking around the entire lake I had still not seen it. Literally seconds after speaking on the phone to my partner to confirm another failure I had a final glance across the water and there it was, sitting slap bang in the middle of the water. Unbelievable. I spent half an hour or so trying to get as close as I could but the bird was very wary of people and always stayed a good distance away from the edges. Even so I got a couple of decent pictures and another life tick as well. The other highlight of my visit were three Common Sandpipers feeding on the far shore of the lake from the car park. These are my first of 2010 and were putting on a good show when they weren't busy chasing each other off. Unfortunately they were just too small for my camera. I really need that SLR now! 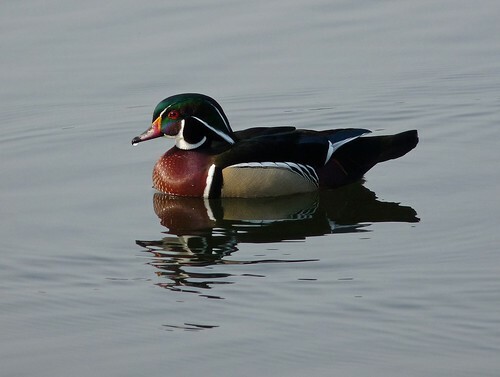 On a slightly more colourful note I was very surprised to see a male Wood Duck following a couple of male Mallards around. 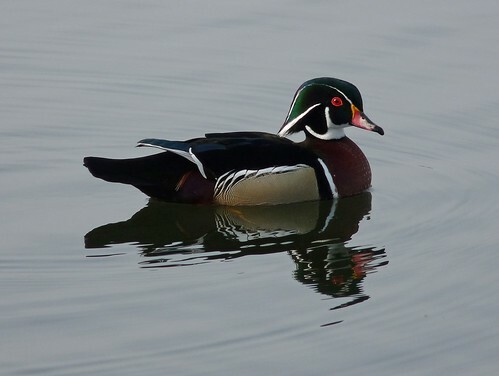 The Wood Duck is not a native species having a tiny population made up almost exclusively from captive escapees. 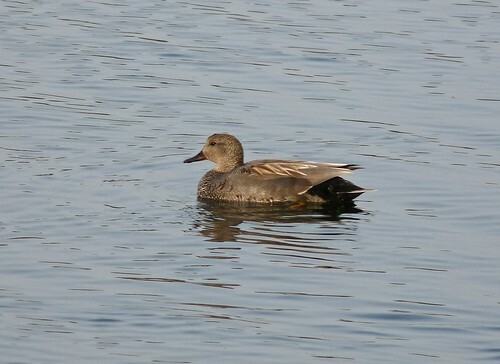 Nevertheless it was a first for me in the wild and a very attractive bird to photograph. 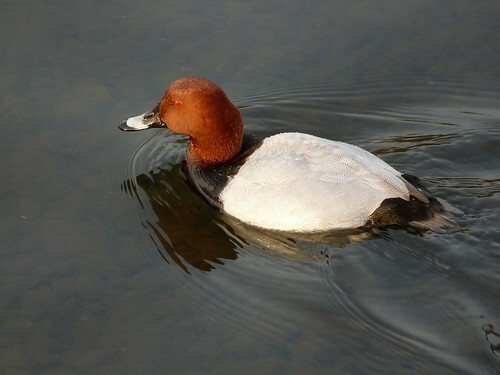 The lake held a good assortment of other waterfowl with several Gadwall pairs, numerous Tufted Duck and Pochard as well as a single Great Crested Grebe and a male Shoveller. The first of the Mute Swans are also sitting on a nest although it is very accessible so I am not sure how well they are going to last. As the light began to fade the hirundines arrived in the shape of approximately thirty Sand Martins and three Swallows. The noise they were making as they filled the sky was very impressive and reminded me how much I have missed their presence over the winter. There were still no House Martins or Swifts in the mix though but surely it is only a matter of time. I will leave you with the following couple of pictures taken as I stood next to my car preparing to leave. 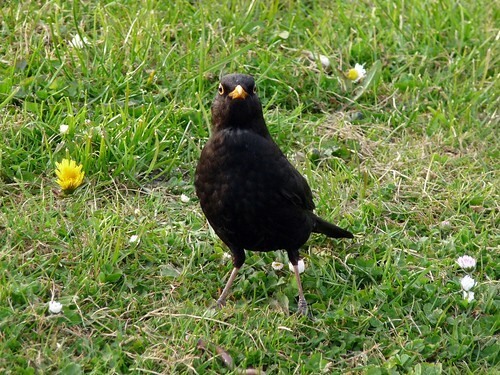 This male Blackbird seemed particularly aggressive and really didn't want to leave despite my close proximity. As you can see he even attempted staring me down presumably in the hope that I would give in and back off. 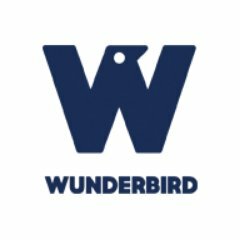 The reason for this behavior became apparent as he picked up a huge juicy worm and attempted to stuff it into his beak. 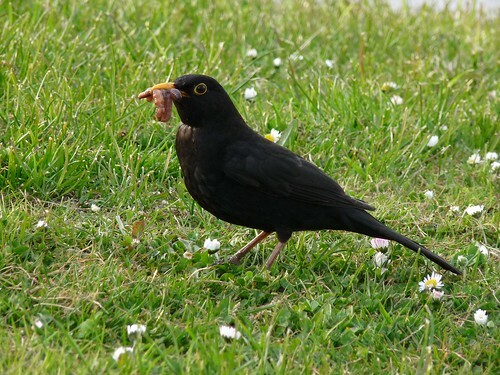 To be fair he actually managed it allowing me to get my first ever 'Blackbird with stuffed beak' shot. It just goes to show that you should always have your camera with you as you never know when a good opportunity will present itself.